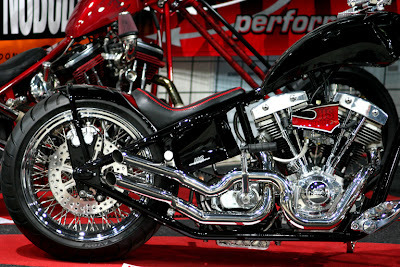 More photos from the motorcycle show at Flickr. And by the way. You may know Eurovision song contest. Czech Republic joined it for the first time this year and the winer from our national round is band "Kabat" with song "Mala dama". They are very popular in Czech Republic and it was no surprise they won in the text message voting. You can see them on YouTube.